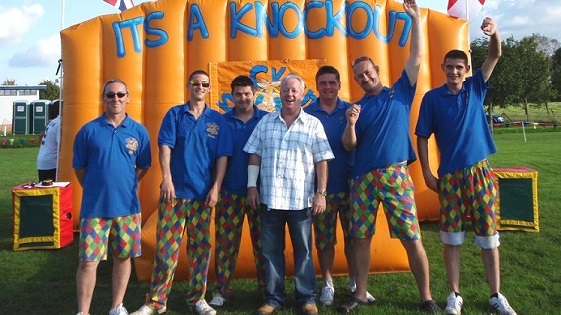 With the recent high-profile inflatable and bouncy castle accidents that have been in the news over the last couple of years in mind, Phil Pike (the Director of Knockout Challenge) via his involvement with the Amusement Devices Safety Council has written a short guide to help the general public ask and look for the right things when hiring inflatables and bouncy castles for the likes of school fetes, fundays and events. 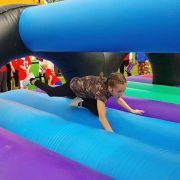 Bouncy castles and inflatables in general are actually very safe (and of course fun) when used in the correct way by the right people supplying them and supervising them. 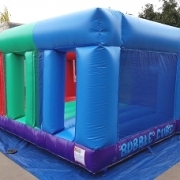 There is lots of technical guidance out there mostly aimed at the supplier or hirer, but members of the general public may find it hard to understand the relevance of the guidelines and how they actually apply to them when they are booking a hire or siting an inflatable on the day. 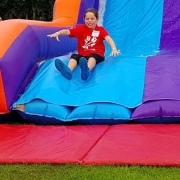 So, the aim here to simplify it with a concise and easy to read “Mum’s & Dad’s Guide” to using them and also what to ask and look from an inflatable hire supplier and what to look for on the day and where to site it. 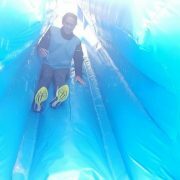 For further safety information, please see our other blog: Inflatables & Safety At Events. 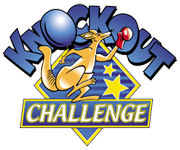 Well, it’s that time of year again to look back at the previous 12 months and reflect on our 2018 It’s A Knockout year. 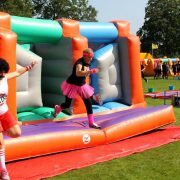 As usual it’s been a pleasure being out on the road performing our It’s A Knockout game activities for a variety of clients and the public. 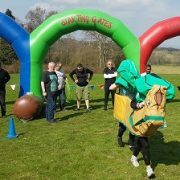 As ever, we’ve been all across the UK taking our games to a variety of events such as charity fundraising, schools, festivals, town/village shows, fun days, team building, and the off party and private event. 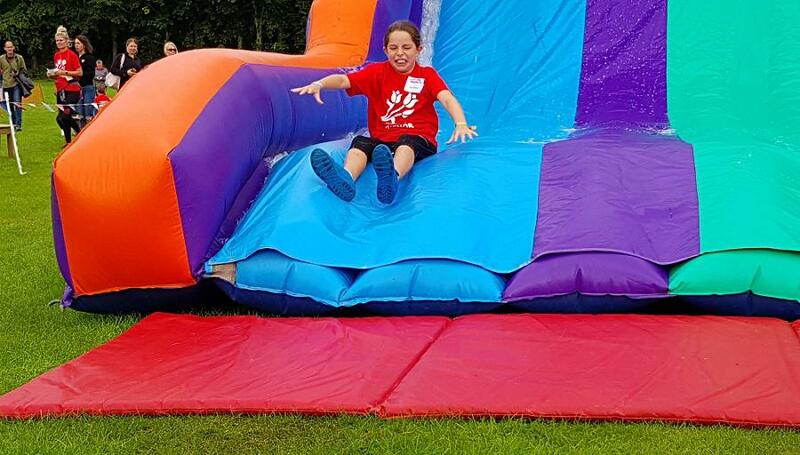 Whether it’s been a national charity day, a big fun day or just a small team building event we’ve enjoyed 2018, and hope that everyone who took part had Fun fun fun as well. Of course there was that great period of dry and hot weather in the middle of the year which we will all remember. For us it happened in the middle of our “busy-busy” part of the year. It started about a week before our big Jersey charity weekender and lasted until the end of July (when the English schools break up). 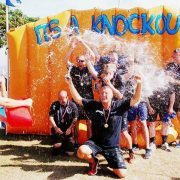 Our it’s A knockout games are great for team building and in 2018 we’ve supplied games packages for small team building days for as little as 30 people, right up to large days where 500 have taken part. We saw a longer season than ever this year, with work through October, November and December. 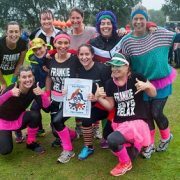 Indoors or outdoors, Christmas party’s, Santa Run’s, team building and more, it’s been a Knockout Year. And we’re already looking forward to 2019. 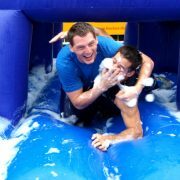 New games and inflatables are planned, and we can’t wait !!! 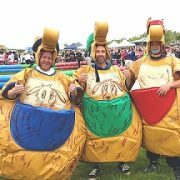 Bookmark our News/Blog page for the latest from us, or Contact Us for our 2019 events.